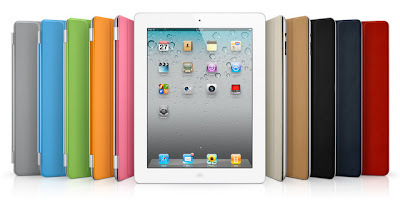 Transfer and Exchange Old iPad Data into "The New iPad 3"
Few weeks back Apple launched "The New iPad" infect iPad 3 so if you're lucky enough to get "The New iPad 3" and wondering How to transfer Data, Music, Videos, Photos, Documents etc. from your Old iPad 1 and iPad 2 to "The New iPad" than you must follow our Guidelines and Steps to Move, Exchange and Transfer Data from Old iPad into "The New iPad 3". We will show you two methods to Move, Exchange and Transfer Data Having Internet Connection and also Not Having Internet Connection with you so that it will be easy for you to decide which method if best for you. You can Move, Exchange and Transfer Data by using iCloud Method (Internet Connection Required) or by iTunes Method (Internet Connection Not Required). Both iTunes and iCloud methods are the suitable but iCloud is seems to be more useful. By using iTunes and iCloud method you can Move, Exchange and Transfer Data, Music, Videos, Photos, Documents etc from your Old iPad 1 and iPad 2 to "The New iPad" without any problem. Well, what we think is using iCloud is the most reliable method to transfer from Old iPad to The New iPad 3. So let’s start the Guidelines and Steps of Transferring, Moving and Exchanging Data, Music, Videos, Photos, Documents etc. from your Old iPad 1 and iPad 2 to "The New iPad". The iCloud Method required Internet Connection with you so you must enable your internet connection before starting this method. Now wait and Let iPad finish the backup to iCloud. After successful backup, head over to new iPad and follow the instructions below. After selecting that, Login to your iCloud account and it will ask you to choose from the previous backup, choose the backup which you did recently. Finally, Select “Restore” and wait until iPad finishes the restore process. This may take some time depending upon the data on your Old iPad. The iTunes Method does not required any Internet Connection with you so you don’t have to worry about your internet connection before starting this method. Wait until it finishes the backup process, it will back up all data on your PC. Click “Continue” and wait till iTunes finishes the “Restore” process. That’s it! It will Restore all your Data, Music, Videos, Photos, Documents etc. from your Old iPad 1 and iPad 2 to "The New iPad". Enjoy!